The best outcome for any type of skin cancer is early detection. The early stages of most skin cancers is when they are confined to the surface of the skin and most treatable. While you can’t undo your current skin damage, you can regularly have your skin checked to ensure that any skin cancer you may have is removed before it is invasive and spreads. Molescreen PDT does more than just glance over your skin. 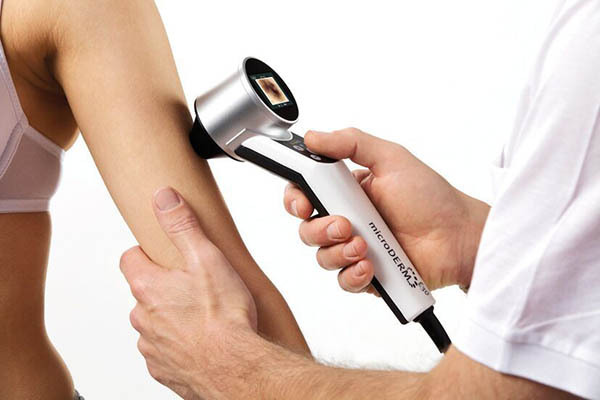 Every inch of your body will be thoroughly checked for any sunspots, moles or lesions. Melanomas may occur anywhere from soles of feet to in between your toes or hidden beneath the hair on your scalp so it is important to look. We use a digital system for examination system that magnifies the skin for easy and accurate diagnosis. It allows pictures to be taken of specific moles which can then be tracked and monitored over time. The images taken throughout this process act as a baseline for a future visit and able to be magnified, ensuring that even the slightest change in your moles will be detected early. When it comes to successful treatment of skin cancer, early diagnosis is key. If you haven’t had a skin check within the last year, are looking for something thorough, or have noticed any new moles or sunspots, book an appointment for a full body skin check.